Farmers herding cattle onto winterage in the Burren. Hundreds of people from the Burren and further afield gathered over the recent October Bank Holiday Weekend to join in the Burren Winterage Weekend, a celebration of the Burren’s unique farming heritage. For thousands of years, Burren farmers have marked the end of summer by herding their cattle up onto winter pastures in the limestone uplands, in the tradition known as winterage and the Burren is one of the only places in the world where it still occurs. 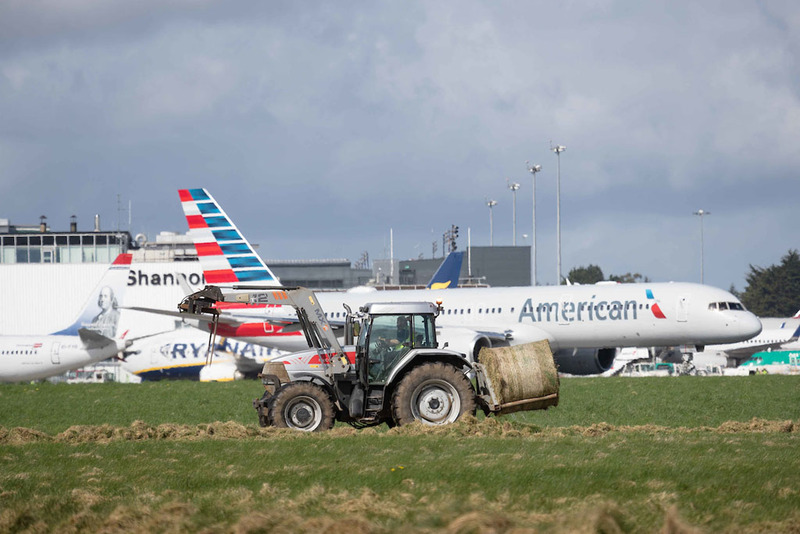 Winterage has been integral to shaping today’s familiar Burren landscape. With coordination support by local landscape charity Burrenbeo Trust, community members put on an amazing range of events including a community gathering, herdsman walk, heritage walks in Ballyvaughan and Fanore, farmers market and farming innovation fair. 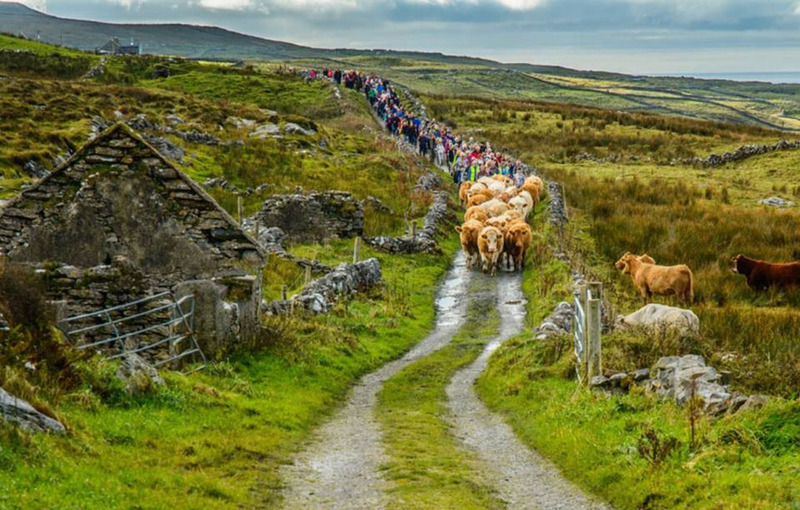 The weekend culminated in the community cattle drive where the community followed a herd of cattle into the Burren hills where they will spend the winter. The weekend was a great celebration of this rich tradition and a unique and authentic experience for the hundreds that took part.